Why Failure is Only A Feature mentioning, by your inner self! MOST IMPORTANTLY I WOULD LIKE TO ADDRESS, WHY FAILURE IS ONLY A FIGURE OF THE/YOUR IMAGINATION AND MERELY ONLY YOUR IMAGINATION ALONE! “TO THE LONER… IT IS PROOF OFF THIS WORLDS, BITTERNESS OF INDIFFERENCE TO THE MISUNDERSTOOD! “TO THE SPIRITUAL… IT IS NOTHING BUT AN AWFUL ATTEMPT TO BLOCK THE RADIATION OF LIGHT AT THE FURTHEST END OF THE TUNNEL! The word failure in actuality, truly does not exist, and is only best used as a simpletons description of ideas not finished, completed, or spent longer then necessary completing! To this aversion sought by all individuals, we concisely endeavour to work at our own speed, but we are examined on the speed, ability, value, views, perception, etc of others with in the elite of the so-called establishments around the world! Today I am giving valid information that aims to smash this belief, as it is a testament of my life and that which I have studied, that it is actually quite common sense, that failure dies and that does not truly exist once pointed out, quite poignantly in all honesty! The only issue which needs prompting of failure, is the non-attendance of trial and effort, but even that most often derives from vehement circumstances, personal or social financial sovereignty, health governance, equality, and earnest of fair crack and the amiable old whip I declare in this instance acquiescent! * If an individual efforts to complete a course or task, but is made redundant by its administrators, due to time elapse management, funds, age restriction or other means, this does not acquaint to failure in the least! But rather a paradigm not subscribing to the agent in question attempting the project, task, examination! As given a considerable amount of chronograph bands, anything in the world is possible, especially if measured by the agents ability to task, rather than the examiner or establishments! The use of deferment makes sense as that word reiterates the notion, that given suitable chronology to the agent in question, all measures can be met satisfactory, if interest is exalted! Success is not and never will be manifested by others example, durations competitive competence or volume of evolution and investment of task to your ability! But rather contrary, simply your personal purchase of interest and effort to task! I.e. If you are intersected eventually you will gain competence at that which you exam, if you are not interested you simply would not put honest effort into the task! Say so! That many people are not interested in life it’s very self anymore or at a stage in their life because of unimaginable difficulties, they have legitimate concerns which control this pain, and can see no future in the world at that chronograph, so will not do well at that stage in their personal life, this is actuality and equivocal! While others at the same time of their intricate intravenously introversion issue may have stumbled across a better plan of action to combat the rising Intractable intoxicant! Some individuals are successful according to the world’s view, while others are not according to the world’s view! This needs further inquisition on the intrinsic of success the word! If a child is born from two normal parents who raised the child correct, with only basically average estovers, in average conditions, and the child grows up to be a basically average member of society without breaking the law? * I would state the parents have been successful in raising this child! * If another couple (couple 2) raise a child the same way as couple 1! But their child turns to a life of crime they have not been successful in raising the said child! (Couple 2 would have been beneficial to invest introspection to the said child rearrangements and conduct a personal experiment around the ability and difficulty of that personal childs behavioural pattern, as their genetics and neurological chromosomes may have contributed to the childs lasting deferment! The exact same can occur the other way around! Interestingly enough! Some incompetent parents raised children that turn out well in society, But note! This is not the parents competence, this competence will arise from both the childs genetical make up, his education and the societies treatment to the child! * If their child runs away from home and then fits into a very excepting society of his ethnicity and talent, and continues education then opportunities will arise, the only danger such a child faces is time and energy as they are not effortlessly and everlasting or ethereal! *If a similar child attempts to do the same thing in a society, which sees the child as an outsider, because of race, gender, disability, security, secularisation, sexuality, characteristics, appearance, name, history, the child will fail again and again and again according that particular society! *But in actual fact the child would not have failed but would have learned an abundance of wealth and knowledge about that particular society and its paradigms, people, science, culture, identity , issue, legality, estovers, programme, support code, doctrines, plan, etc etc! So in actual fact, what would appear as failure in the material world, is only in disguised as success in the spiritual world! *Because one element is truly more becoming, empowering and beneficial than the other element? Such individuals are worth their weight in gold, pound for pound are great, for that which burdens their life throughout! Had they been bequeathed will amiable circumstances, surely they would have made it to the highest order of any field in the world! This is the declaration of pound for pound, acheiving what you can at your wreckage, and salvaging that which kills most people, put that into perspectives and you can see their worth with what they are contending with, weight for weight in spirituality verses torment! Some people have appeared to have failed when really all along they was succeeding while other Individuals may be actually taking the slow harbouring boat to nowhere, the fast train the fastest train that journeys to nowhere. *While the individual slowly evolves into a bitter being, socially, physically, spiritually, financially, psychologically and ends up in jail at maturity of age or middle age! While some who may have begun life on the streets or the wrong foot end up with blessings a bountiful! However there do relate individuals who have been raised by good parents who have tried everything from, parental professionalism, advice service, best schools, moral support, guidance, affirmative action, and the child has gone on to perpetually destroy as much to everything it has come into contact with! * In actuality there exist a subliminal array of people in the world like this, this is a neurological problem, it has been stated by many professional aids! Sadly so, nothing can be done about this, there is actual one of these in my family, such people lack serious thinking skills and are very nonchalant all the way to middle age, about 50 years and so, then they realise the equivocal denominations of their character! 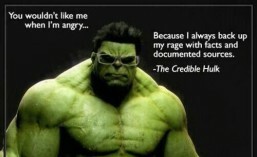 PLUS THE DAMAGE THE HAVE EMPLOYED! This is a character flaw, ultimately a nihilistic narcissistic feverish disease which often destroys the whole family via one person! Just one damn person, amazing you often wish they was not even born, everything would have been ok! Such individuals, always see the errors of their ways to the family far to late to align the paradox which was! Or maybe still is! When you destroy goods things you better be prepared to live with it, because nothing goes away, and will be the last thing you remember on your very own death unfortunate death-bed! I am sure they realise if thee, does not yet, they certain will, as the chronograph band becomes the measure of realization! Such bands become succinct and echoes of the parsimoniousness portrayed by your self paradigmatically! When I think of people I believe there are those existing who are successful yet the world has not acknowledged them yet! As success is truly defined not by result, by contrary, and by effort in action via circumstances and ability to the problem! *Think of a poor person feeding the homeless, this is a person with undoubtedly succesful traits of beneficiaries and benevolence to the circumstances! Poorly as the individual is they continue to defy the odds and do the unthinkable and unexpected in their very own blight! *Think of a child who was beaten, broken and bruised, making it in a world alone, in which, his identity goes against every natural law an order of the very society he was born and raised in? Would you think such a child could grow up and become unsuccessful? The answer is no! Maybe not materially succesful, but spiritually successful he is actually at a possible advantage after all! You need to have pain to visualise the great wonder of the world! Muhammad Ali! 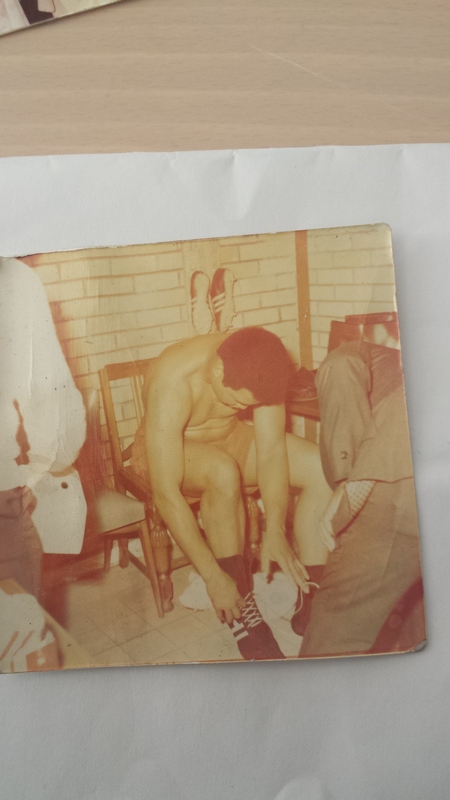 Was also successful in a chronostratagraphical epoch when his skin colour was an issue, he threw his gold medal in to a near by pond to boycot the racist abuse against afro-carribeans in america after the 1964 games where he won a gold medal at light heavyweight, after a cafe in america would not let him sit down to eat after he ordered his food! There are different levels of success and this is probably the highest order of it! Working against the odds from humble beginnings! As Mr Ali was ordered to serve a 6 year prison sentence for refuting the war in Vietnam and court marshaled by the American Navy in the early 1970’s. Though Ali returned to reclaim his rightful tittle 2 further times! 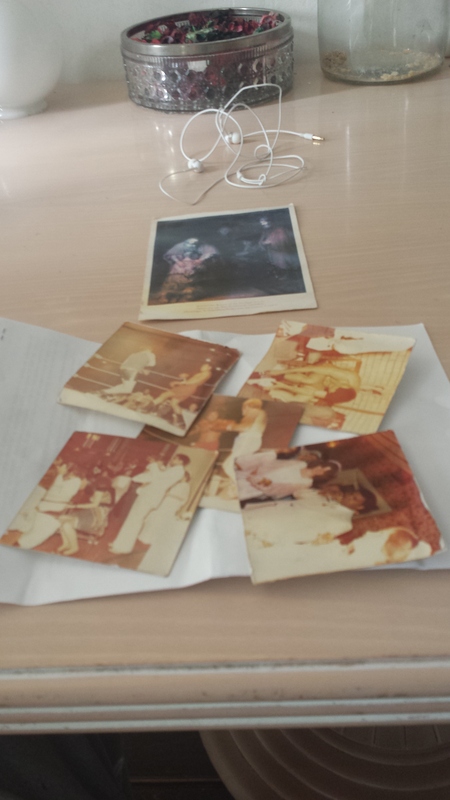 Here are some never seen photos given to me when I was incarcerated, By a higher ranking prison guard who heard of my story, when I was incarcerated, the gentlemen handed them to me to my surprise, and told me he took them himself in Ireland in the 80’s, where he grew up, Ali was invited to a charity do… To perform exhibition boxing matches after his retirement. He also attended a wedding while he visited Ireland! 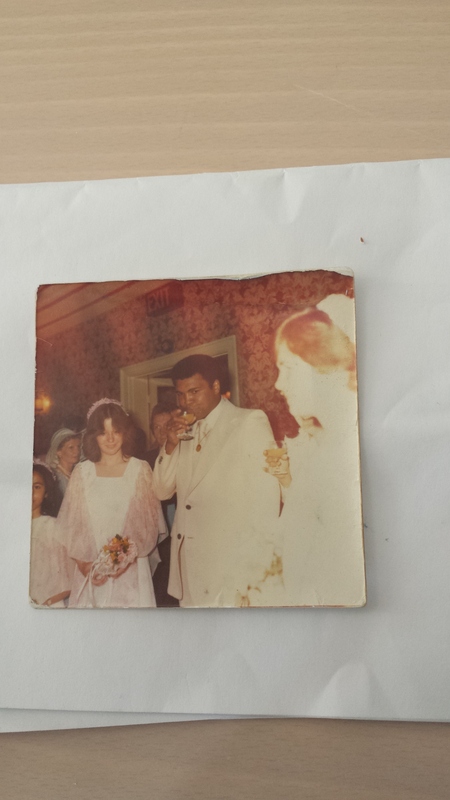 Mr Muhammad Ali In 1980’s at a wedding in Ireland, United Kingdom. Mr Ali looks the ever the smart entertainment even at his retired age of 40 something! Great gesture if good will. I thank him. I actually Thank them both, with acknowledgement of good will characteristics, a rarefied in modern times! 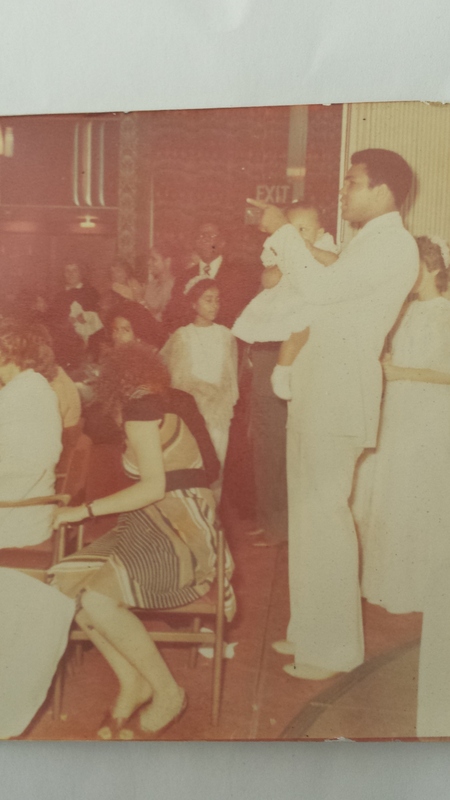 The ever so gracious Mr Muhammad Ali “First 3 Time HEAVYWEIGHT Champion of the world holding a small child at a wedding reception back in the 1980’s Ireland, UNITED KINGDOM. Mr Floyd Mayweather is a pound for pound great in boxing and at the magnanimous success of the highest order! *His farther a recovering drug addict who was shot with a gun, was a boxer incarcerated when young floyd jr was a child. Ms floyd was a drug user and died while floyd was a child! This once child now a fully grown adult, has never ever been defeated as a professional boxer, and has en compliance with world titles in 6 separate weight classes, first winning a tittle in 1998 at the tender age of 21! 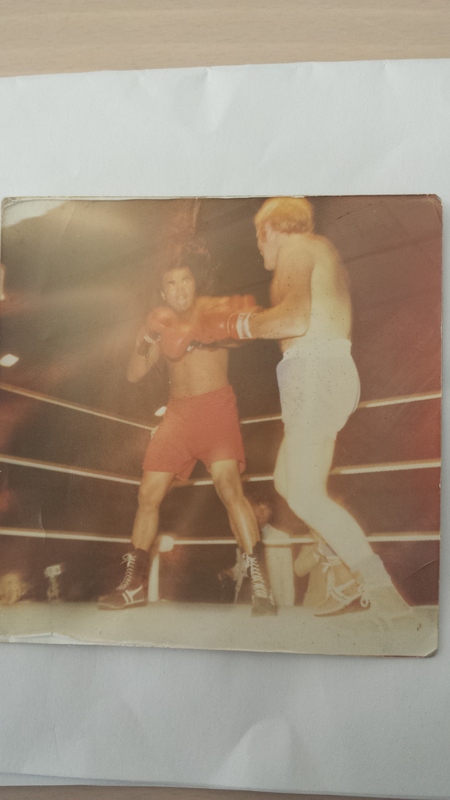 A boxer at heavy named Gerry from Canada fought in the golden era of boxing against all the best, Ali, Frazier, Norton, Page, Spinks, Lyle, Shavers, Etc. 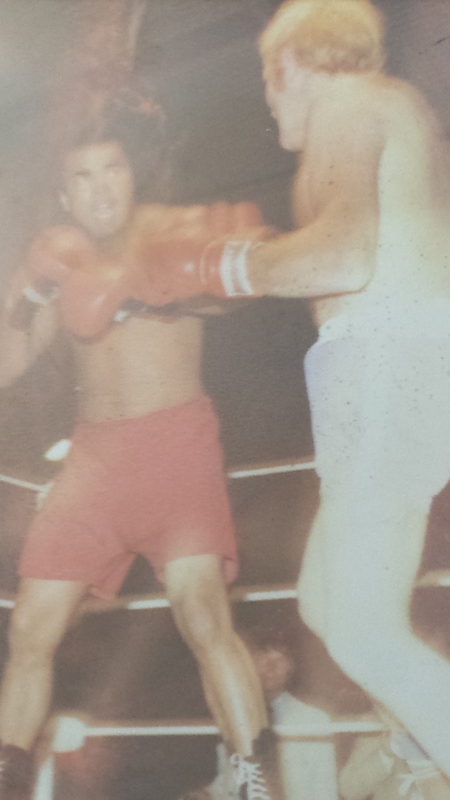 Gerry never one the world tittle and is not even in any all time top 10 ratings of heavyweight boxers! Yet in one famous report recently a reporter disclosed the where absence of “Gerry” WHO was famous for continuing to get up in fights after being knock down by much bigger and heavier opposition! The article produced information of the tragedy of his dead wife who fell to cancer, the narcotics that killed his younger son, after years of abuse, and the tragic ending of his last son who committed suicide after the apparent tragic death of his mother and son in the same decade! Gerry had lost all his money eyesight and health! That was the best report I ever read indeed, and for that I placed Gerry in my top ten Heavyweight boxers of all time! As I measure a person by what they salvage from the wreckage, not what they are given from fortunate circumstances! Peace and may god be with you.. I trust you non haters are always well..
You are highly success with or without recognition! 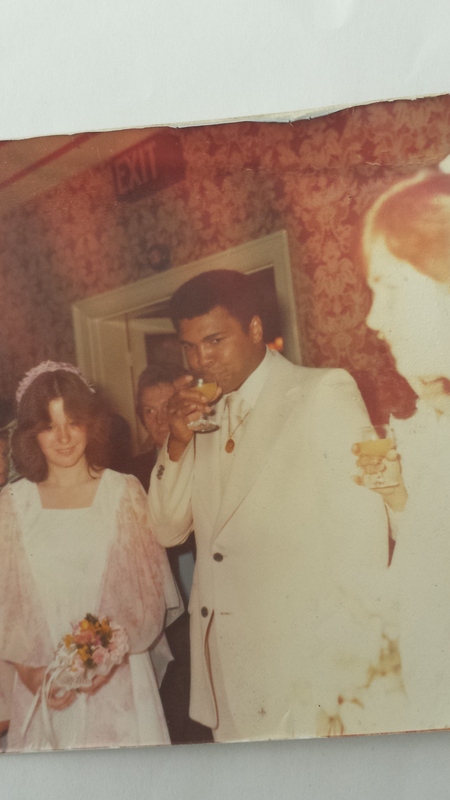 This entry was posted in Faith and tagged #faith, #Muhammad ali, sociology. Bookmark the permalink. ← Metalanguage Of Misleadingly Misinformed Misinterpretations, Be It Quotations Or Acts. I can honestly say… (This may appear very strange) Yet, had things gone according to plans in the earlier section of my life, with amiable circumstances and good fortune on myside… I no doubt, would have been familiar then with that which i write about today. This information would have been used as my affirming guide. with such knowledge and information one can make better decisions at crucial moments. I probably would not be even writing blogs today had my goals been accomplished, I would have been living out my dreams, Hence! May have had no time for writing blogs. So one man’s attempts struggling throughout blinded paths, may yet be good, for others fortune!